I'm currently wearing this outfit, writing this post, and watching the half time show all at the same time! Oh, and I was just Snapchatting as well. Funny how much we can multi-task, eh? I think I have a crush on Bruno Mars. Or perhaps it's just that I can't hear "Uptown Funk" and not get all excited and start moving to the music. So good! So yes, this is how I Super Bowl. We didn't have any parties or anything to go to this year. The husband and I just picked up some fried chicken and ice cream and are enjoying the game from the comfort of our living room. Clearly this did not involve getting all fancy. I'm not rooting for the Broncos, though I am coincidentally wearing their colors. 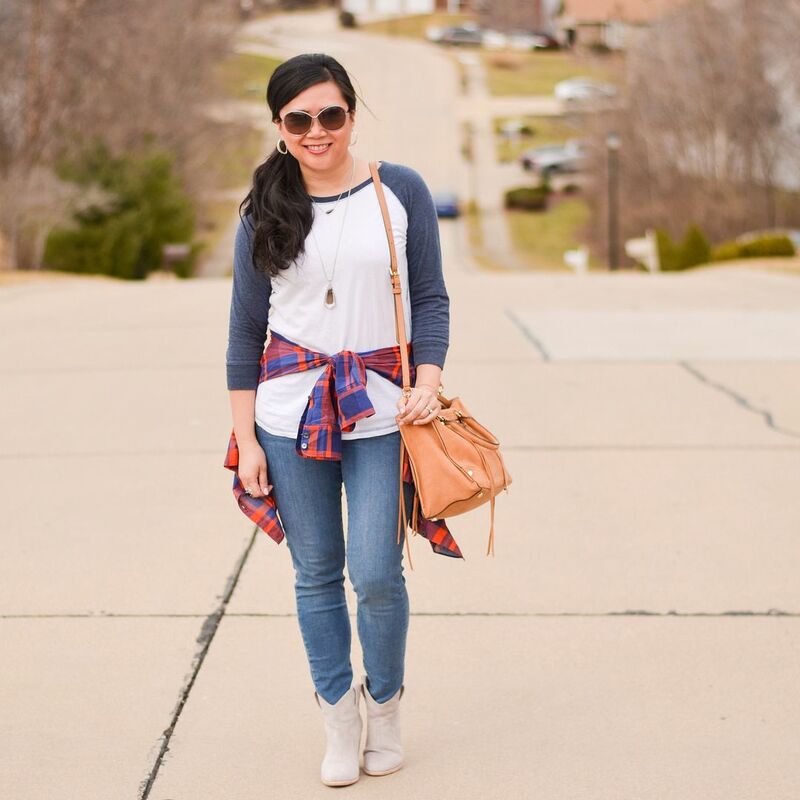 I always forget about this basic baseball tee. It's pretty perfect. And then when you add my favorite accessory - a plaid shirt tied around my waist - it makes for the perfect Super Bowl friendly outfit! I may have to wear this again soon because it's just too good. If you haven't already noticed, things are looking a little different around here. 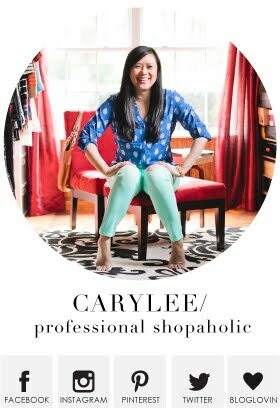 As a three year blogiversary gift to myself, I decided to pay for a blog redesign. Not vastly different, but good different. I really wanted everything to be cleaned up a bit. My previous design, I pieced together myself, and I am NOT a web designer at all. It was fine and not really offensive, but I've been wanting it to be revamped, and I couldn't be happier! As part of this redesign I also got new business cards and a new Facebook header as well. I hope you'll check everything out and appreciate the new simple me! And one last thing! In case you missed it, you can win a $100 Express gift card! Details in yesterday's post HERE! Enter $100 Express gift card giveaway HERE! 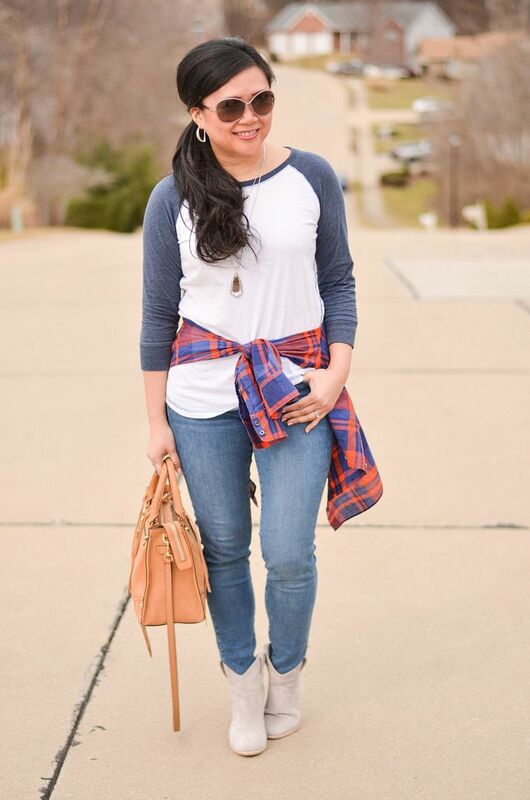 I so love baseball tees and jackets, that bag is really gorgeous! 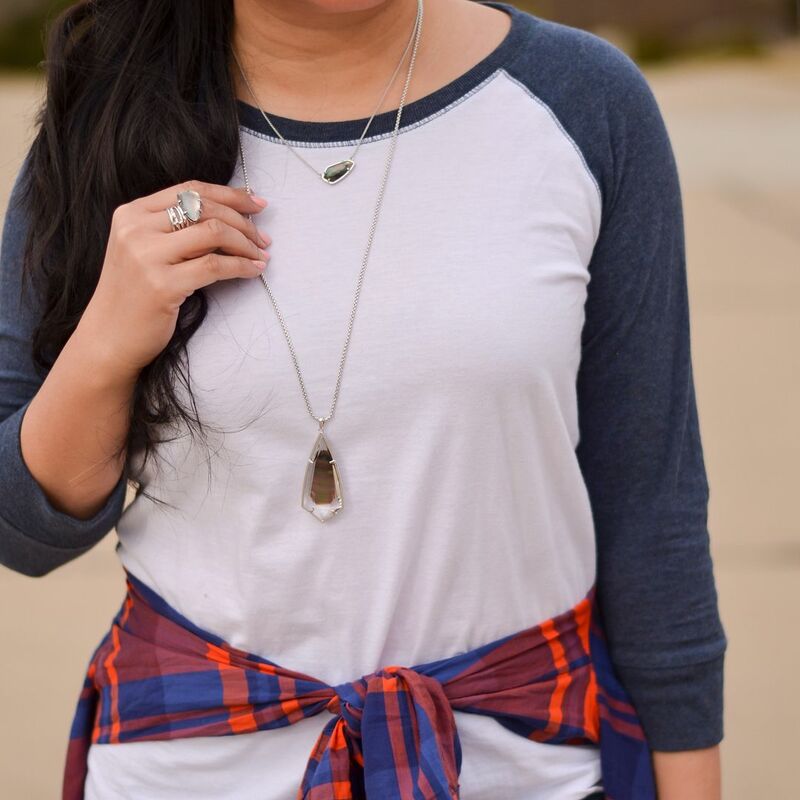 Your website looks great...and I so need this baseball tee! Woo hoo! Loving the new site design. It looks very clean and professional. And love your Super Bowl outfit! 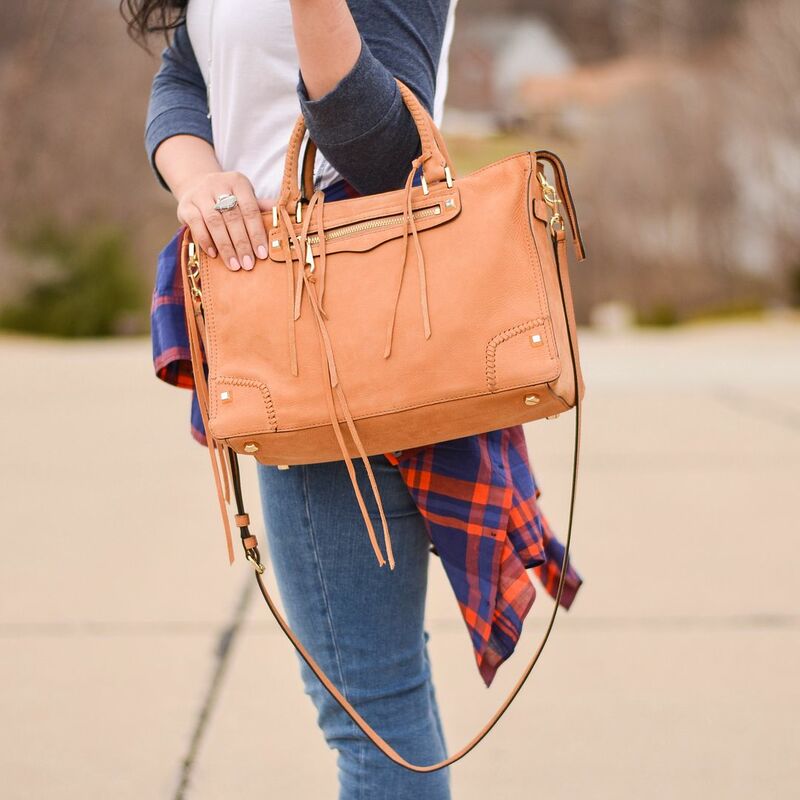 Perfect mix of dressy-casual. Love the redesign! I'm working on mine! The new design is awesome!! It looks so professional and I love the FB header! Happy anniversary to you! 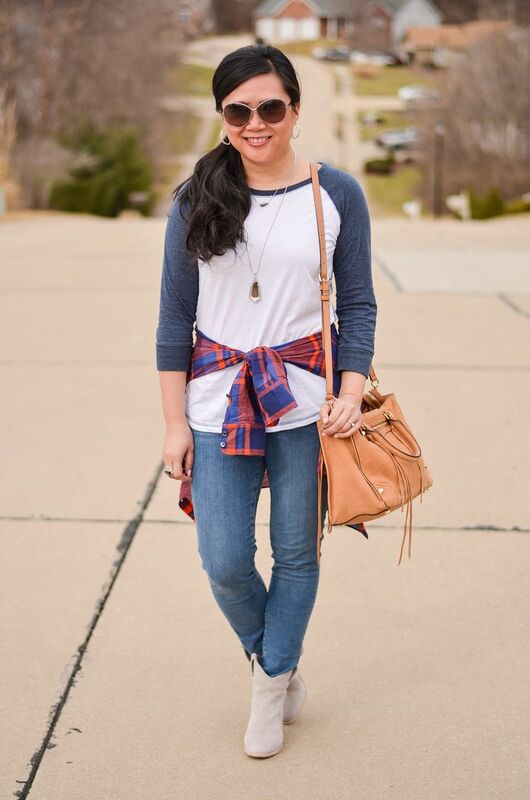 Great game day style, girl! Love that bag too! I personally love this blog design! 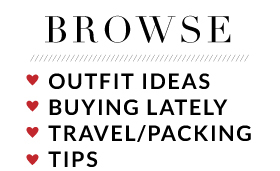 It's still easy to navigate, but definitely looks refreshed. I'm still waiting for mine (eye roll). Next time I'll use this designer because I can't get mine to email me back! Hopefully it's done soon and worth it in the end! I didn't watch the Super Bowl but heard the show was great! Your top brings memories of a very similar shirt I stole from my boyfriend (now husband) :) Chic as usual. Don't forget to stop by my new weekly Weekend Wear Friday linkup and share your fabulous styles!